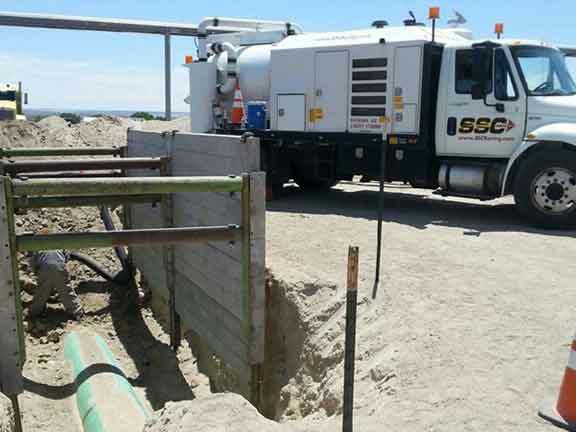 Description: Provide vacuum truck & crew to expose gas lines inside a major natural gas station, so that the Kinder Morgan crews can safely recoat the pipes. Challenges: The pipes are in four different locations within a major natural gas station in Bloomfield under three different owners; Kinder Morgan, Enterprise Products, and Conoco Phillips along with unknown lines. For this reason, four digs needed to be completed using vacuum excavating only.